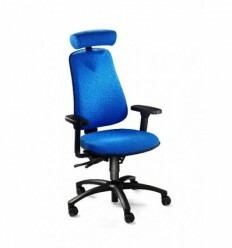 Best office chair for your back - a great chair for those with back pain. 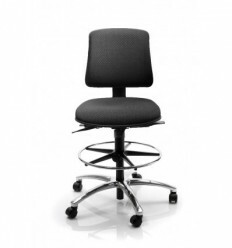 The HM 380 is orthopedically designed chair. 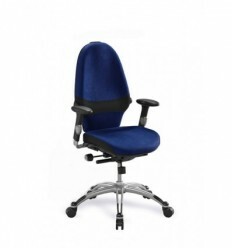 The backrest is designed to provide optimum support to the crucial areas and has a lumbar pump to give an exact match. 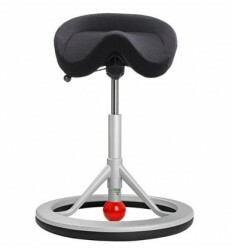 One of the key features is the forward tilt seat pan function that allows the user to safely sit forward on the seat without support, while putting the spine into a more neutral position, by rotating the pelvis and taking the pressure off the spinal discs (same principle as a kneeling chair). This removes the most frequent risk of sitting unsupported in the slouched position, which if doing so for prolonged periods can be detrimental to the spine. 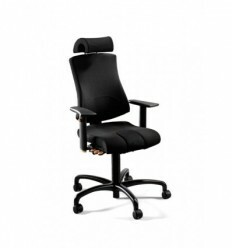 Chair comes complete with Adjustable Armrests and Adjustable Neck rest. Fame Fabric Swatch. We Stock Black. 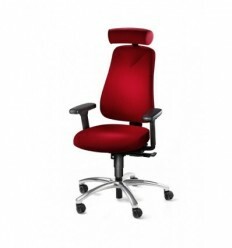 HM380 office chair gives freedom of movement. 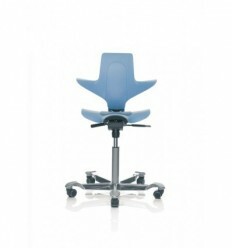 It allows the user to stretch out their body while sitting. The pivot axles tilt the seat pan forward at the same time as the backrest tilts backward. 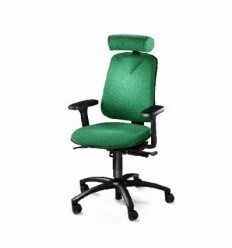 This gives the user a comfortable position that gives your spine the full support it needs. This is made possible by the HM Mechanism which uses three independently moving pivot axles—the seat pan, the rocker action and the backrest. 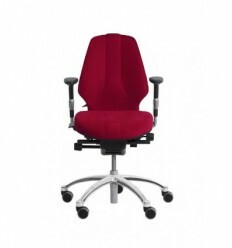 HM380 back chair adapt to suit the user. 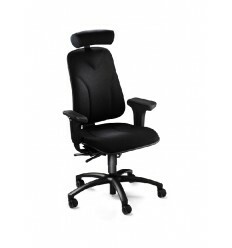 The height and depth of the seat pan and the armrests are all adjustable, giving the user comfort and good support while working. 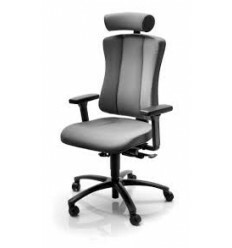 The rocker mechanism is also adjustable so the backrest gives support without feeling like the chair is rocking backwards or stiff. The height of the seat pan can be raised to a level where you can comfortably sit with a straight back. 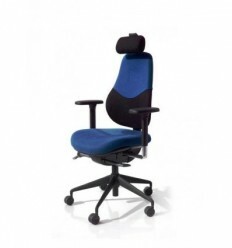 HM380 ergonomic chair improves breathing and blood circulation. The HM line allows you to sit stretched out while reclining, with full support for your spine and without your feet· being lifted off the ground. This way you open your body and facilitate breathing and blood circulation. 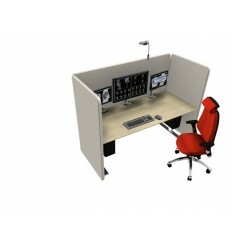 When you sit in the HM380 chair you will notice a difference. And how nice and relaxing it is to sit properly! 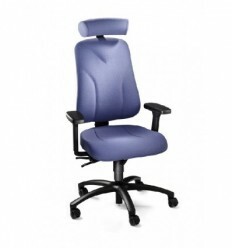 The HM380 office chair is the complete back support chair to relieve and prevent back pain. 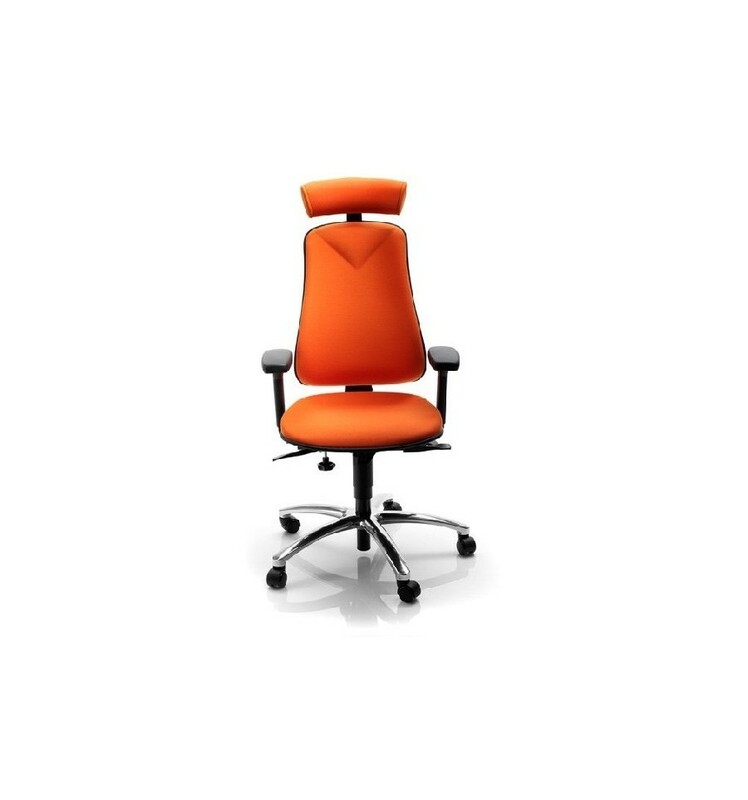 Having the right chair at work is a smart investment that keeps users healthy, lowers absenteeism due to illness and helps us to sit comfortably and do a better job. 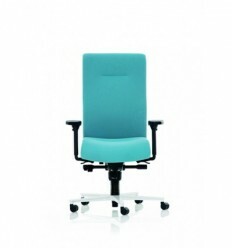 This ergonomic chair offers unrestricted movement when sitting, which means the user can sit upright, stretched out, poised or reclining without touching a single lever. 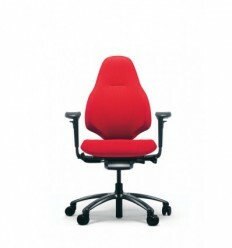 This makes the HM380 office chair ideal for people who split their time between the computer, desk and telephone. 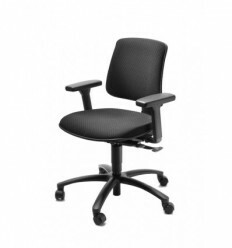 The HM380 comes as standard with an adjustable lumbar support with a lumbar pump for complete individual fit. Base: black base in aluminium. 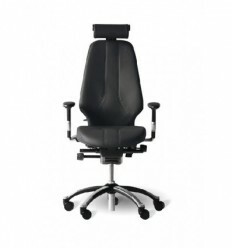 Rotating Armrests: have an adjustable height 170-290mm and width 390-500mm.· Adjustable depth to the fron of the seat 140-230mm.· Swivels 40 degrees. 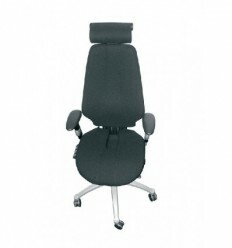 Standard neckrest: adjustable 120mm in height and 50mm in width. We stock black, other colours have a 4 week lead time. Listen to your body, remember prevention is better than cure. Thanks you. The chair is excellent and the other items are also very good. I have it setup as advised by Seamus and after reviewing the instructions. I would like to thank Seamus for the kind instruction and for delivering the chair promptly. 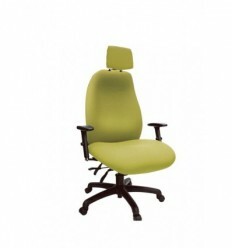 The plan will be to purchase more ergonomic chairs and other items for an office as the business develops. Thanks Seamus for your help in choosing my chair. Am happy with all. 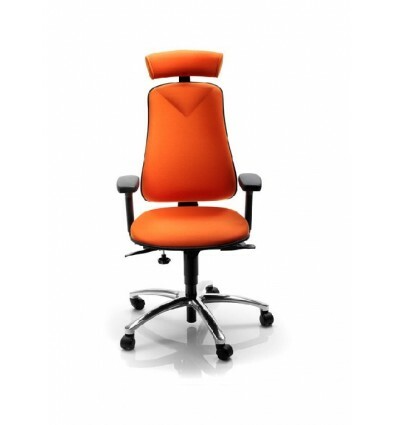 "I would like to say that your chairs are amazing – great comfort!" "Also I must say my chair is fabulous, I would be lost without it!" "I am very happy with my new chair, thanks again James"